PM Modi On New Year's Day: Taking a jibe at the opposition, PM Modi said that 2019 elections will be "grand alliance versus the people". PM Modi in an interview with ANI took a jibe at the opposition over Rafale deal. 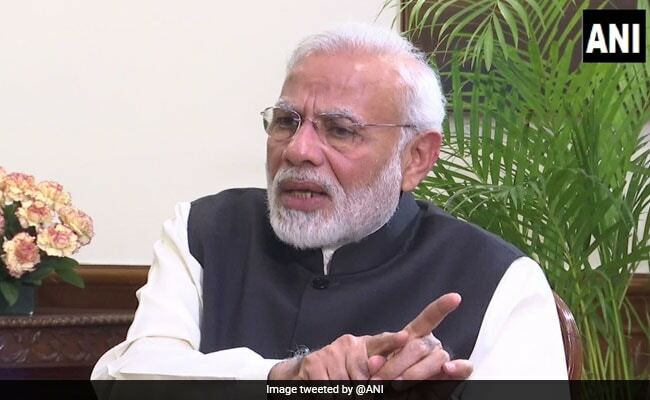 Prime Minister Narendra Modi on New Year's day spoke on several important people and political issues including Rafale deal, surgical strikes, demonetisation, triple talaq and Goods and Services Tax in an interview with news agency ANI. Taking a jibe at the opposition, PM Modi said that 2019 elections will be "grand alliance versus the people". PM Modi also spoke on the Ram Temple issue ahead of the Supreme Court hearing on January 4. "Ordinance on Ram temple can be considered after legal process gets over," he told ANI. Modi's claim that Demonetisation has eliminated black money is preposterous. Modi facilitated black money hoarders to whitewash illegal cash holdings. People who ought to have been penalised were rewarded at the expense of destroying livelihoods of crores of Indians. Randeep Surjewala asks several question from PM Modi. First, tell us Modi-ji, have we got 15 lakhs in bank accounts or not. 80-lakh-crore black money to be returned in first 100 days - where is that? Where are 9 crore jobs he promised in these years at 2 crore jobs per year? What happened to the cost+50% price you promised to farmers? What happened to the idea of simplifying business with a good tax? Why compromise with national security? And what about ending corruption? For everyday to the Rafale scam? Why are you avoiding a JPC probe? And finally, is Ganga clean now? How many smart cities out of 100 have you built? What happened to Start Up India, Stand Up, Skill India and Make in India? You don't even talk about that now. Why are fuel prices so high despite global crude prices? The people of India are seeing how leaders who want to loot are closing ranks and forming alliances. PM Modi suggested that "Make In India" was also being politicised. "My crime is that I am trying for Make In India, I am trying to shut down the middlemen," he said. For them, my crime is I am working on @makeinindia for being self sufficient in defence. My crime is that I am focussing on whatever defence forces need. I do not care about their abuses, I will do my work and strengthen the armed forces. PM Modi disclosed the details of surgical strike operation in an interview with news agency ANI today saying "the safety of the army personnel was paramount for him". He also insisted it was wrong to politicise the issue and stressed that it was important to hail army's valour. Read what PM Modi said on surgical strikes here. On the surgical strikes, there are some political parties who began to speak the same language as Pakistan. These parties were demeaning our armed forces. They politicised such an issue. Setting the tone for general elections, PM Modi attacked the opposition saying: "For Opposition leaders, Modi is the issue. On different days, they take turns to abuse Modi." PM said opposition lacked "vision for India". "In 2019, the people of India will set the agenda. They know who is with their aspirations and who is not," said PM Modi. Amid disruptions over Triple talaq bill in Parliament, PM Modi clarified it is "not a religion issue". "This is about gender justice. Several Islamic nations have banned it," he said. The Ordinance on Triple Talaq came in the light of a verdict by the SC. It did not come before that. "It will be a huge mistake to think that Pakistan will change after one surgical strike," PM Modi told ANI. The neighboring country will take time to mend ways. On mob violence, PM Modi said: "No instance of violence is acceptable to us." 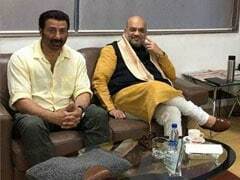 He also said BJP workers will not tolerate any political violence. I assure BJP Karyakartas that we will not tolerate political violence. Karyakartas of no party must be harmed. In an attack at the Gandhis, PM Modi while speaking to news agency ANI said: "It is a reality that the so called First Family of the nation is out on bail. Their loyalists may try to hide that fact but they won't succeed. A former FM of India has to go to the courts and this also people are seeing." In an attack at Gandhis, PM Modi while speaking to news agency ANI said: "It is a reality that the so called First Family of the nation is out on bail. Their loyalists may try to hide that fact but they won't succeed. A former FM of India has to go to the courts and this also people are seeing."